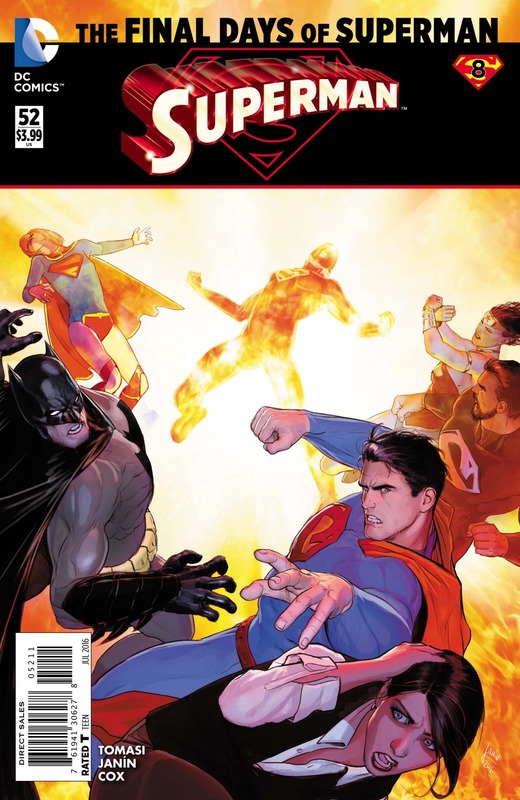 Important week for DC as they switch gears from the New 52 to Rebirth. Marvel keep doing their thing and depending on how Rebirth goes might plan something in the near future I am sure. Will Civil War II be enough to stop DC from getting more share? Are people ready for another DC revamp? 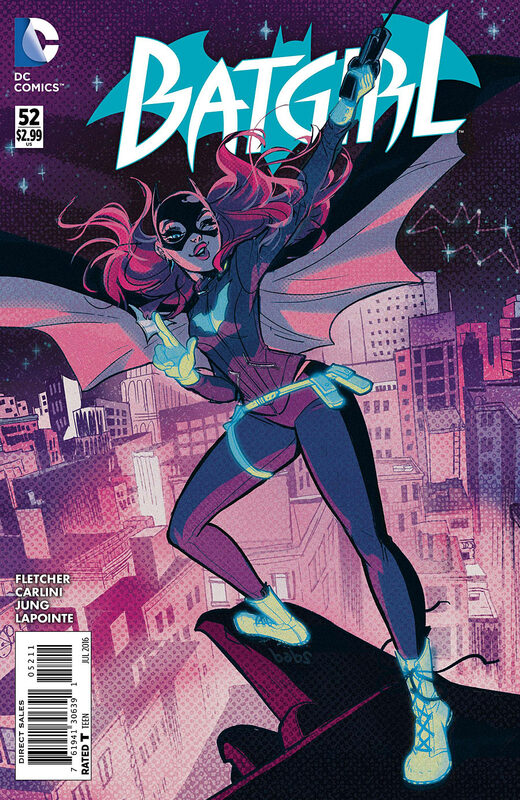 The poll consisted of the four most obvious choices and Batgirl #52 for comparison's sake. The resolution to the multiple Supermen storyline that ended up not giving us a glimpse of Kenan Kong (as far as we know). 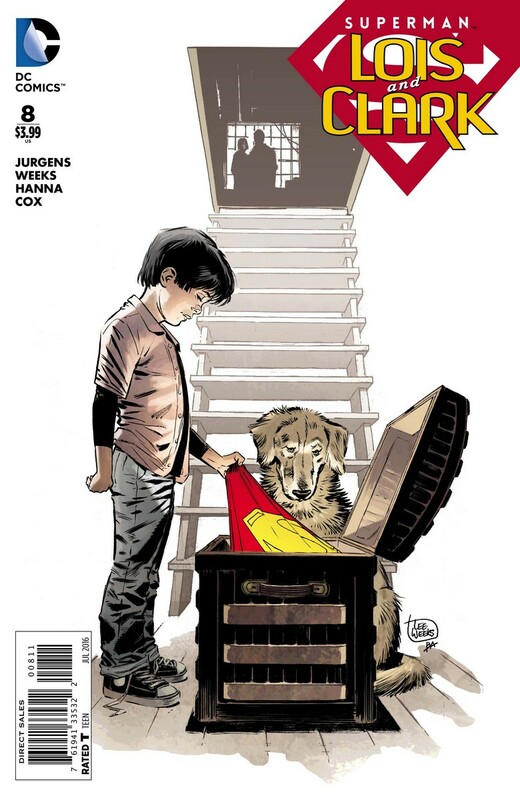 People seemed to have dropped this in the last couple of weeks, but there's still *MINOR SPOILERS AT THIS POINT* the death of New 52 Superman within these pages … which will be as final as any other comic death, I guess. So this could have a smallish print run (less than 20k) and it's already sold out in a lot of online stores. There's not much in here that would appear in the label of a graded book, other than Jonathan Kent developing his powers. 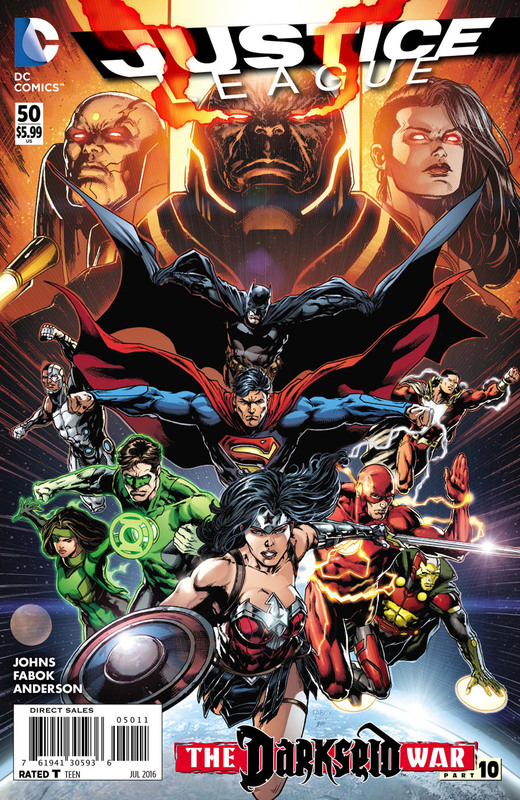 Time for the one-shot that summarizes the DC Universe as it is right now and sets up the course for the next couple of years (months?). Characters come back, some others are introduced and hints are given on what's really going on. “We're being watched” … Ham-fisted as Geoff Johns can get when he goes meta, I think he's really good at setups. For this one, your mileage may vary. 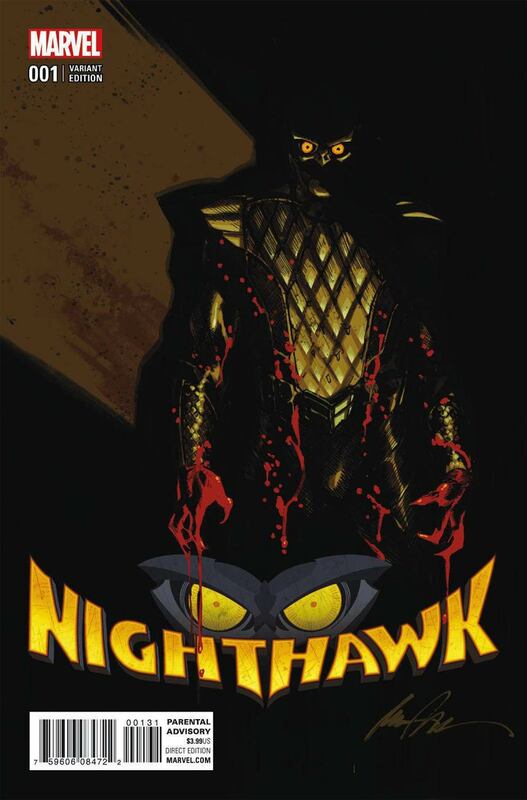 I personally think that no good can come out of bringing a watered down version of Watchmen into the DC Universe. They were a set of characters with a specific story and universe in mind, and they don't make any sense in the DCU. On top of this, if Johns is taking over the movie business, how long before he has to drop comics altogether? Rant over … Wally's back, that's good news to me! Really cool cover from an artist I was not very familiar with, but a quick look at her tumblr quickly made me add her to my list. Covers on this series have been stellar. Steve Rogers is back as Captain America and even though it looks like everything feels classic again, you know Nick Spencer wants to keep you guessing. 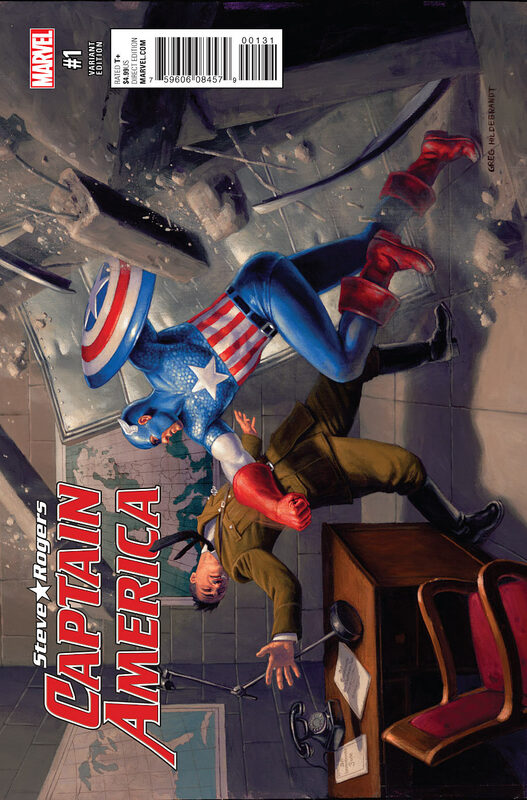 To tie it all together, this variant comes with a nice Hitler punch in the cover. I can't help but feel happy about a great series getting some much deserved attention. It's not like the series started small, according to comichron.com. The 1st printing was around 133,813, the 2nd 6,308, the 3rd 10,295 and the 4th 6,439 (assuming the sales numbers for each month represent a different printing, but I guess 2nd to 4th might be a bit more mixed up). 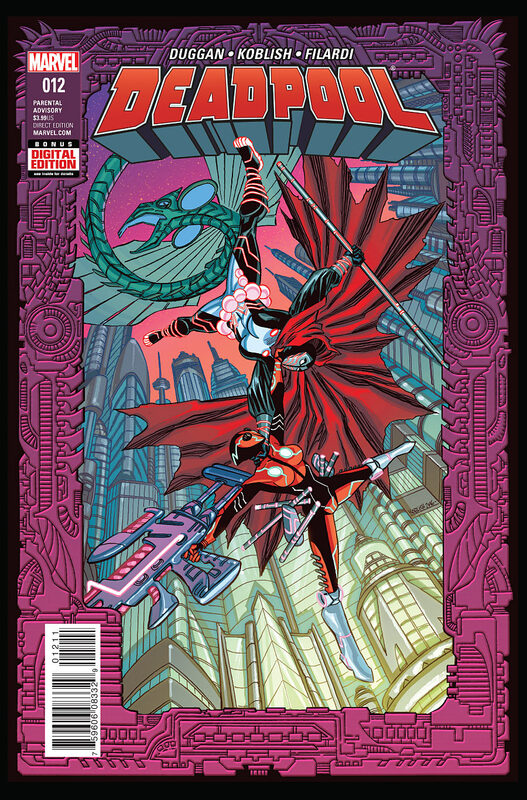 In any case, sales of over 160K for #1 while #4 sold less than 65K, so expect more printings of the other issues too. I am hoping the sales numbers keep going up and this keeps going on forever. Kelly and McGuinness will not be stopped!!!! 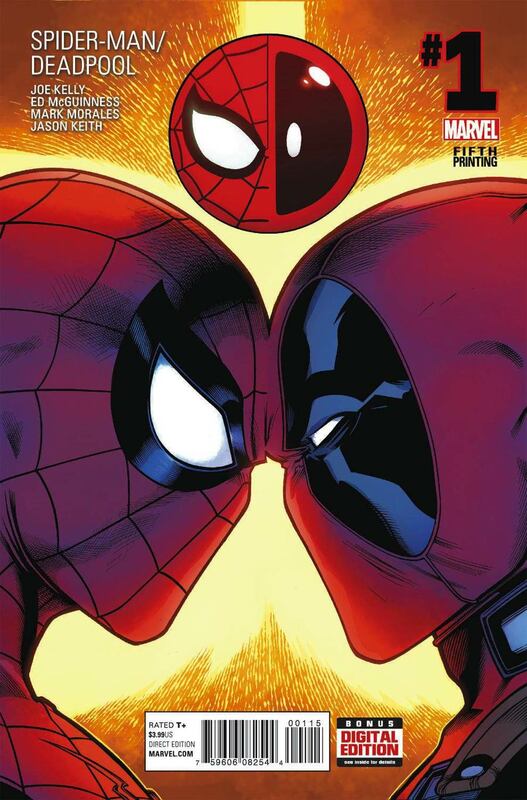 Does the first page of Spider-man Deadpool’s 5th print have no dialogue? I love you, but we’ve got to get out of the Marvel/DC box, and not just for speculation. There was plenty in the indi realm today. 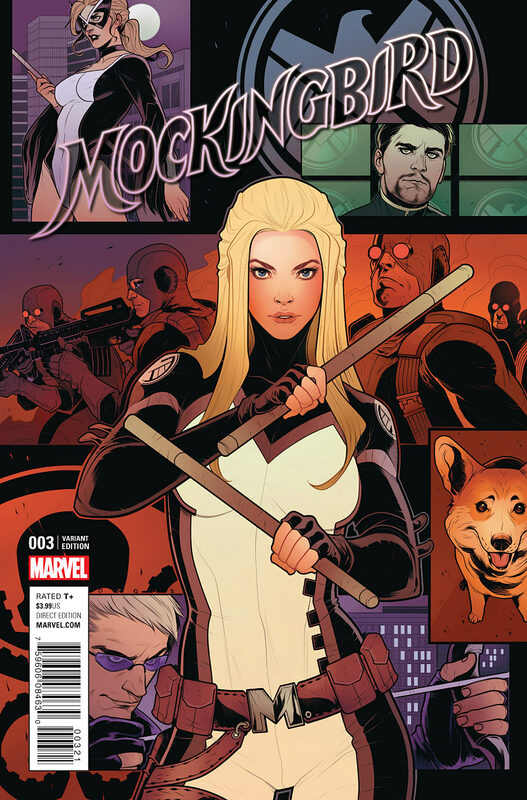 Monstress #6 was more excellence from Image, and East of West #26 (any time Image puts this book out it’s a good day), and the second issue of Image + featuring part 2 of the origin of Negan (brand new material), Strayer #4 from Aftershock, Divinity II #2 and Bloodshot Reborn #13 (which was the last chapter of The Analog Man story, best thing I’ve read this year). 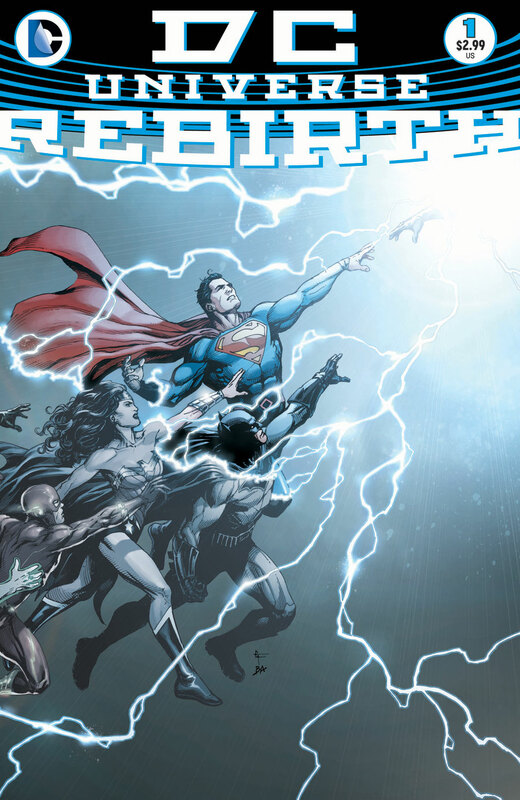 DC Rebirth, for all its color and characters that we love, the book was uninspired afterbirth. And more of the same from Marvel. If the main spec titles for the week are marvel or dc then why spend time on non hot comics.